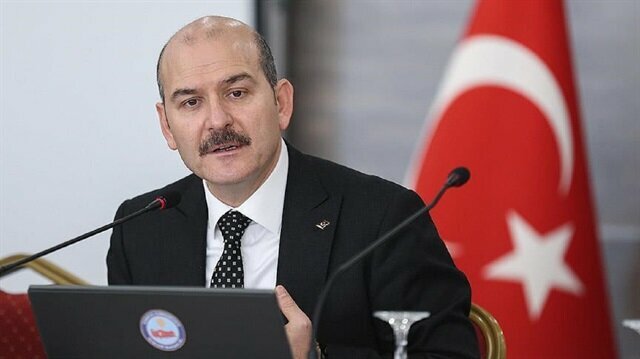 A total of 48,305 people were remanded in custody across Turkey in 2017 for suspected links with the Fetullah Terrorist Organization (FETÖ), the group behind the 2016 defeated coup, the interior minister said Tuesday. "The number of arrests is nearly three times higher," Suleyman Soylu told a security meeting in Istanbul. Soylu said: "Even these figures are not enough to reveal the severity of the issue." He said the necessity and burden of establishing the country's security had increased following the defeated coup. FETÖ and its U.S.-based leader Fetullah Gülen orchestrated the coup attempt on July 15, 2016, which left 250 people martyred and nearly 2,200 injured.